Apple, Google In Crosshairs For Carrying App That Lets Saudi Men Track Wives An app that allows men to track the whereabouts of their wives and daughters is available in the Apple and Google app stores in Saudi Arabia. The firms are getting blowback for carrying the app. The Absher app, available in the Apple and Google apps stores in Saudi Arabia, allows men to track the whereabouts of their wives and daughters. 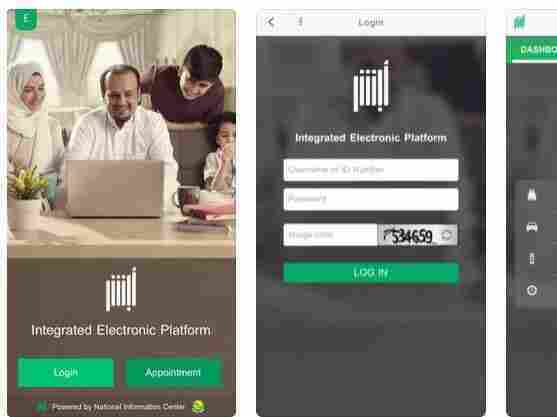 An app that allows Saudi men to track the whereabouts of their wives and daughters is available in the Apple and Google app stores in Saudi Arabia. But the U.S. tech giants are getting blowback from human rights activists and lawmakers for carrying the app. The app, called Absher, was created by the National Information Center, which according to a Saudi government website is a project of the Saudi Ministry of Interior. The description of the app in both stores says that with Absher, "you can safely browse your profile or your family members, or [laborers] working for you, and perform a wide range of eServices online." In Saudi Arabia, women's lives are highly restricted. For example, according to Human Rights Watch, women have always needed permission from a male guardian, usually a father or husband, to leave the country. In the past, paper forms were required prior to travel. The Absher app makes the process a lot more convenient for Saudi men. And it's drawing criticism, especially from human rights advocacy groups. "It's really designed with the men in mind," says Rothna Begum, a senior researcher on women's rights at Human Rights Watch. "Of course, it's incredibly demeaning, insulting and humiliating for the women and downright abusive in many cases, because you're allowing men absolute control over women's movements." This week, Sen. Ron Wyden, D-Ore., sent a letter to both companies asking them to remove the app. "Saudi men can also reportedly use Absher to receive real-time text message alerts every time these women enter or leave the country or to prevent these women from leaving the country," he wrote. In an interview with NPR on Monday, Apple CEO Tim Cook was asked about Absher. "I haven't heard about it," he said. "But obviously we'll take a look at it if that's the case." NPR also reached out to Google, but the company has not responded. Both Apple and Google have faced previous controversies over apps in their stores. Both stores have policies banning inappropriate content such as the promotion of hate speech, graphic violence, bullying and harassment. The companies have faced some backlash over these policies, particularly around how they might impact small businesses. Human Rights Watch's Begum says she can see how the companies might not have realized initially that the app could be used for monitoring women. "It has other services that are quite generic and normal government services," she says. Apple and Google have different systems for flagging inappropriate apps. Apple prescreens apps, and Begum says Google relies on its users to alert it about violations. But, she says, each company needs to boost scrutiny of government-supported apps, especially when they are created by repressive regimes. "They should consider the human rights implications ... especially when it's offered by a government," she says. "When they're evaluating whether an app should be allowed ... providers really should consider the broader context or the purpose of the app, how it's being used in practice and whether it's facilitating abuse." Ironically, Absher has also been helpful to a few women trying to escape the repressive Saudi regime. Begum says some women have managed to secretly change the settings in the app on their male guardian's phone so that it allows them to travel. However, she says, Google and Apple need to push back against the Saudi government and either disable the app entirely or disable the features that enable men to track women in their families. "By not saying anything," she says, "they've allowed the government to facilitate the abuse." In his letter to Google and Apple, Wyden wrote: "It is hardly news that the Saudi monarchy seeks to restrict and repress Saudi women, but American companies should not enable or facilitate the Saudi government's patriarchy."